Baltimore, MD – November 1, 2017. Testimonial Builder, the premier mobile app for filming and syndicating video reviews, announced that Greg Gifford has been elected to their Board of Advisors. Greg is recognized internationally as a leading SEO expert. Earlier this year Greg spoke at Brighton SEO (UK’s biggest search marketing conference). He will be speaking at SearchCamp in December 2017 and will be the keynote speaker at SMX Munich (Europe’s biggest search marketing conference) in the spring of 2018. 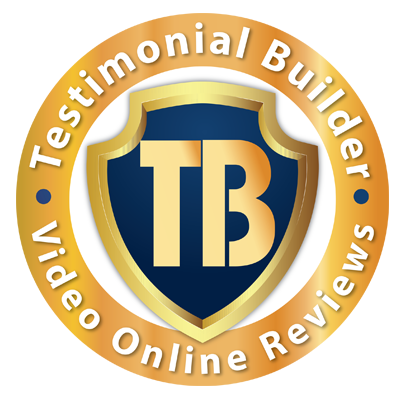 The Testimonial Builder app is designed to capture the true excitement of a happy customer in a way that written reviews can’t match. That experience is then syndicated and used to boost a business’ SEO via YouTube & Google’s audio-scanning technology. Testimonial Builder makes it possible for every salesperson to use their smart phone to create their own authentic video marketing material. The salesperson follows a customized script on the teleprompter that incorporates appropriate keywords for SEO. Digital video is widely recognized as one of the fastest growing media channels and it is expected to continue its expansion and reach. In a Hubspot survey, researchers found that 90% of consumers use product videos to make a purchase decision and 80% of viewers recall a digital video they have viewed in the past 30 days. In a digital market saturated with banner ads, pay per click flashes, and a revolving Facebook News Feed, video stands out and makes a lasting impression. The mobile video audience is becoming increasingly relevant. YouTube projects that mobile video consumption will continue to grow at a rate of 100% annually. Hubspot reports that 92% of mobile video viewers are likely to share the video with a friend. Testimonial Builder enables businesses to harness the power of organic sharing and build a positive reputation.